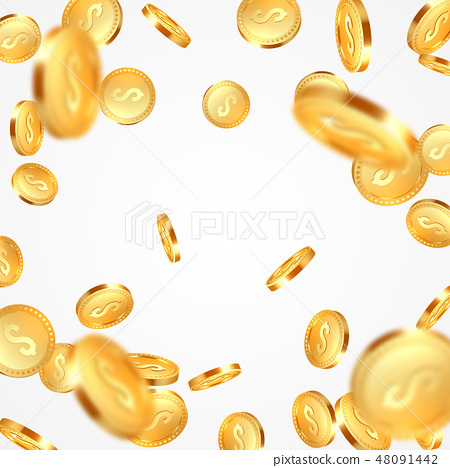 Stock Illustration: Realistic 3d golden coins explosion. Realistic 3d golden coins explosion. Falling money with dollar sign. White background. Vector illustration.